If the endless posts peppering your social media feed are to be believed, almost everyone is pleased to see the back of 2016. Whether it was regional economic turmoil, war, terrorism or the untimely death of your favourite celebrity, 2016 wasn’t a great year. It was also a difficult year for the UAE property market. Being a relatively small player and one heavily dependent on expat buyers, renters and international investors, all of the aforementioned factors had their impact on sentiment, employment and demand. Prices continued to fall gradually. And just when we thought we had hit bottom, something new (like the mid-year Brexit) would drag prices down further. Despite all this, there are reasons for optimism. Although prices and rents edged down across most communities, the UAE market showed resilience and signs of maturity. Towards the end of the year, we witnessed a small but clear upturn in buyer activity. Surveys conducted by our market research team showed clear trends of expats staying longer and adopting a longer-term view towards life in the UAE. It is now more a market dominated by end-users and long-term investors seeking world-leading rental yields. The flippers, who caused so much havoc in the lead up to the global financial crisis and to a lesser extent to the following cycle which ended mid 2014, are nowhere to be found. Despite the dollar being at record highs and the UAE mortgage cap forcing consumers to stump up considerable cash to buy, the value for money and the quality of life in the UAE continue to be excellent. 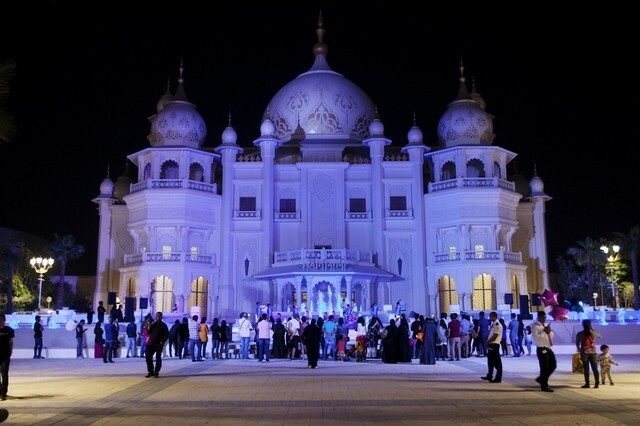 The full opening of the Dubai Parks and Resorts is not only an exciting addition to our entertainment options, but also an excellent boost to the economy and property market. DPR joins IMG World of Adventures and will be followed shortly by Six Flags and Warner Bros, making the UAE the ultimate theme park destination. Theme parks are good for the economy, make up nearly half of the most-visited tourist attractions in the world and were one of the few leisure elements to see substantial growth in 2015. The top 20 amusement parks in Asia-Pacific saw a 6.9 per cent jump in visitors to 131 million people. The opening of DPR and IMG has already helped invigorate the economy through tourism and job creation, but it has also had a direct impact on the property market by dramatically increasing the selling points of developments closest to them and their long-term economic appeal acts as a lucrative prospect to international investors. Median advertised price trends on propertyfinder.ae have indicated that the current cycle of the UAE property market has been in decline for up to 2.5 years since its mid 2014 peaks. Rents have fallen more than sale prices, but there are good deals out there across most segments in both residential and commercial properties. Few expect prices to be lower in 2020. In fact, most commentators are predicting a significant increase. If you have the deposit, look at buying and locking in low mortgage interest rates for three to five years. The traditional mantra of ‘bigger is always better’ used to be quite the buzzword around Dubai, but trends are showing that this is no longer the case. We’ve noticed a clear undersupply of affordable stock, particularly in the affordable villa segment. Property developers like Danube and Dubai Properties are responding. With the number of low- to mid-income expat professionals set to rise in the run-up to Expo 2020, the modular designed complexes of Danube and the smaller, contemporary areas like Serena are the ideal choice for first-time home buyers and tenants looking for a great deal. Developers are focusing far more on the end-user in their design and build, a trend set to continue throughout 2017. Locations like Jumeirah Central, Dubai South and Mira have focused on being more family-centric, by including communal facilities and amenities that encourage interaction. While the infrastructure’s slow expansion makes many new locations accessible only by car, it is a wise move to consider their ability to be self-sufficiently entertaining. It also answers the expat consumer’s demand for less anonymous living and more home-from-home community spirit. There might be hundreds of ongoing projects around the UAE, both residential and commercial, but old favourites are not escaping the wave of innovation. The Palm Jumeirah has always been one of the most popular locations to live, but recent changes have addressed some of the long-held concerns of residents. Nakheel’s Dh120 million Club Vista Mare brings seven new beachside outlets to the area, and joins Palms Views East and West in expanding the leisure and retail options for residents. Nakheel has also announced plans for the pedestrianisation of the Palm Jumeirah trunk. This will not only provide easy access for residents to the new and existing amenities, but also increase the speed of traffic flow. With more venues to enjoy and less traffic to deal with, Nakheel has removed the key stumbling blocks to Palm living. We predict its popularity will continue to grow throughout 2017.